With its increasing presence in a continuously evolving media environment, the essay film as a visual form raises new questions about the construction of the subject, its relationship to the world, and the aesthetic possibilities of cinema. 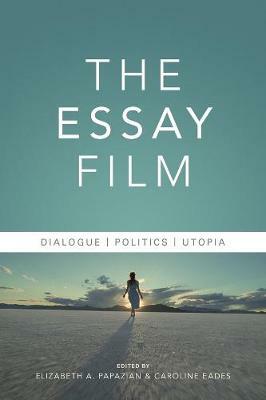 In this volume, authors specializing in various national cinemas (Cuban, French, German, Israeli, Italian, Lebanese, Polish, Russian, American) and critical approaches (historical, aesthetic, postcolonial, feminist, philosophical) explore the essay film and its consequences for the theory of cinema while building on and challenging existing theories. Taking as a guiding principle the essay form's dialogic, fluid nature, the volume examines the potential of the essayistic to question, investigate, and reflect on all forms of cinema-fiction film, popular cinema, and documentary, video installation, and digital essay. A wide range of filmmakers are covered, from Dziga Vertov (Man with a Movie Camera, 1928), Chris Marker (Description of a Struggle, 1960), Nicolas Guillen Landrian (Coffea Arabiga, 1968), Pier Paolo Pasolini (Notes for an African Oresteia, 1969), Chantal Akerman (News from Home, 1976) and Jean-Luc Godard (Notre musique, 2004) to Nanni Moretti (Palombella Rossa, 1989), Mohammed Soueid (Civil War, 2002), Claire Denis (L'Intrus, 2004) and Terrence Malick (The Tree of Life, 2011), among others. The volume argues that the essayistic in film-as process, as experience, as experiment-opens the road to key issues faced by the individual in relation to the collective, but can also lead to its own subversion, as a form of dialectical thought that gravitates towards crisis. 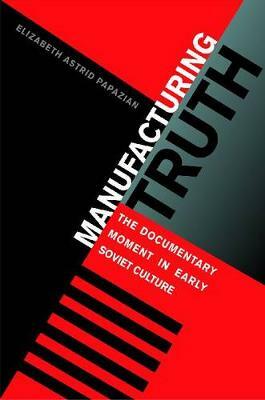 Buy The Essay Film: Dialogue, Politics, Utopia by Elizabeth Astrid Papazian from Australia's Online Independent Bookstore, Boomerang Books.